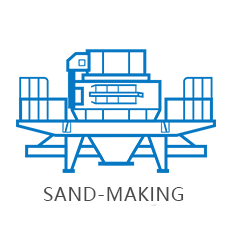 VSI sand-making machine adopts German advanced technologies. 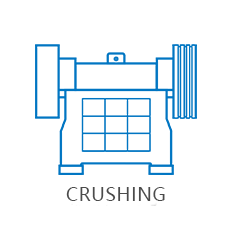 It’s a high-performance crusher with global advanced technologies and adopts unique rotor design, wear-resistant materials, optimized crushing speed and hydraulics, which makes it the perfect combination model of professional crushing technology and machinery manufacturing. Its capacity is 50-500t/h which increases by 30% and is more steady compared to traditional machines under same power. Best impact angle design of crushing chamber reduces vulnerable parts’ friction and its operation cost is 30% lower than that of traditional machines, which directly decreases utilization cost. The finished product is cubic in good appearance and has rational graduation and adjustable fineness modulus; it is suitable for manufactured sand production and stone reshape and it has been proved that its reshaping efficiency is better compared to other traditional machines. Hydraulic drive device makes easy maintenance of internal crushing chamber parts and shortens downtime saving time and labor. Over vibration display and alarm have been set up and if there is improper operation, warnings will be released and the machine will be stopped for protection. Thin oil lubricating station imported from German with original packaging with double oil pumps fueling and the machine will stop automatically when their is no oil flow or oil pressure; the machine has oil cooling and heating device ensuring shaft lubrication best condition, which thoroughly solves hot shaft problem and makes the main shaft with constant temperature, consequently extending maintenance cycle and utilization life. 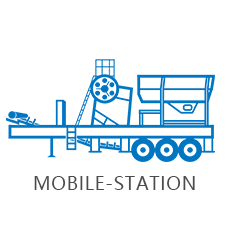 The machine is relatively light and has several installation methods including movable installation, featured by simple installation, maintenance and repair and convenient operation; with specific usage, slight adjustment of VSI sand-making machine will fully play its excellent performances. With unique feeding and crushing structures, the machine realized shift between “stone impacting stone” and “stone impacting liner” achieving muti-functions of one machine. 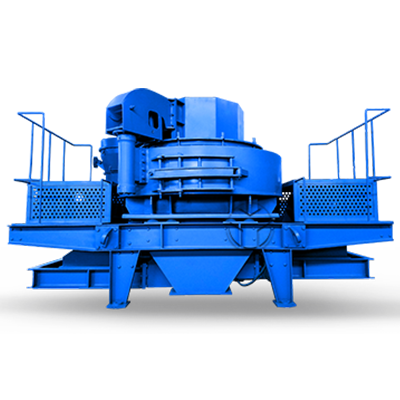 If you want to change VSI crusher’s usage, only a small adjustment needs to be done to adapt different operation request including artificial sand making, stone reshaping and material grinding. The machine adopts latest technologies, advanced rivet technology, automobile technology of rust-cleaning by sand-blasted and painting, which greatly improved machine’s internal and external quality. Its core components are international famous brand (the bearing is TIMKEN rolling bearing with high accuracy class) ensuring low rate of systemic faults. The machine makes low noise and no pollution. Its unique air self-circulating system greatly reduces outward exhaust airflow and dust, which is good for environment. Besides, VSI sand-making machine can also be installed several specifications dust collectors. VSI sand-making machine also called as VSI series vertical shaft impact crusher is a latest product of our company which introduces German advanced technologies and combines with domestic mining industry condition. 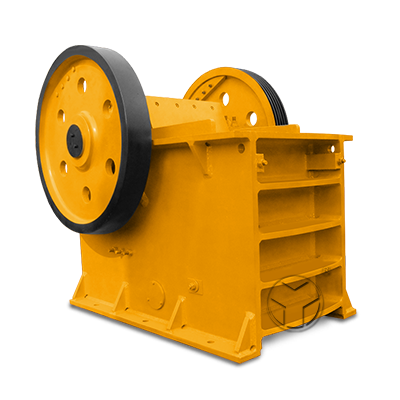 It’s a high-performance crusher with global advanced technologies and adopts unique rotor design, wear-resistant materials, optimized crushing speed and hydraulics, which makes it the perfect combination model of professional crushing technology and machinery manufacturing. 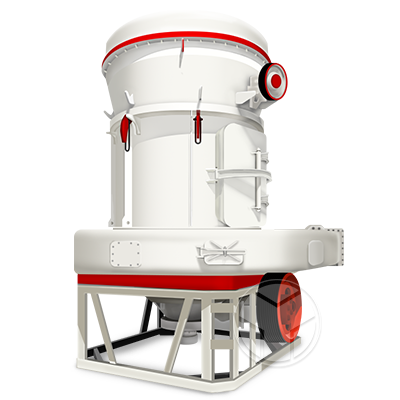 Artificial sand-making industry needs ideal machine-made sand and concrete aggregate and stone reshaping industry needs high-quality and good-shape crushing materials, so that VSI series vertical shaft impact crusher is their best choice. Besides, VSI series vertical shaft impact crusher can provide good-quality aggregate for highway, high speed railway, tall building, city project, hydropower dam constructions, and concrete mixing plant and it is the preferred machine for sand-making field and stone-reshaping field. 1. The artificial sand making of river Pebbles, rocks (limestone, granite, basalt, diabase, andesite, etc. ), ore tailings, stone cuttings.? 2. Production of building aggregates, road surface materials, bedding materials, bituminous concrete and cement concrete aggregates.? 3. Manufactured sand production and stone reshape in water conservancy and hydropower, high-grade highways, highways, high-speed railways, passenger dedicated lines, bridges, airport runways, municipal engineering and tall buildings.? 4. Pro-phase crushing of ore grinding in mining field, such as crushing of building materials, metallurgy, chemistry, mining, refractories, cement and grinding industries.? 5. High abrasive material crushing and secondary breaking, such as desulphuration in thermal power industry and metallurgy industry and environmental protection projects like steel slag and building waste crushing. 6. 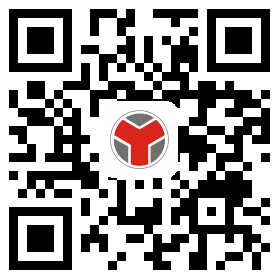 Production of glass, silica sand and other high purity materials. 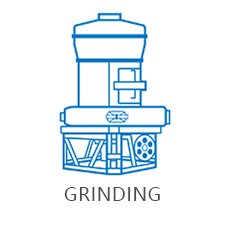 Materials enter into the sand-making machine through feed hopper and then are divided into two currents by separating plate, one current enters to the rapidly rotating rotor and the other current falls through the separating plate all the way around. The material speed accelerates quickly up to dozens gravitational acceleration in the rotor and then materials are cast firstly to impact with materials falling all the way around; then the two currents materials together rush to vortex lining inside the vortex chamber and then the materials are rebounded upward obliquely to upper vortex chamber; and now their movement direction is changed to downward and impact with materials from the impeller forming material curtain. In the above process, materials received two times or more impact, friction and grinding in the vortex crushing chamber and finally are discharged from the bottom outlet. The artificial sand making of river Pebbles, rocks (limestone, granite, basalt, diabase, andesite, etc. ), ore tailings, stone cuttings.Production of building aggregates, road surface materials, bedding materials, bituminous concrete and cement concrete aggregates.Manufactured sand production and stone reshape in water conservancy and hydropower, high-grade highways, highways, high-speed railways, passenger dedicated lines, bridges, airport runways, municipal engineering and tall buildings.High abrasive material crushing and secondary breaking, such as desulphuration in thermal power industry and metallurgy industry and environmental protection projects like steel slag and building waste crushing.Production of glass, silica sand and other high purity materials. Zimbabwe 5-10 Tons Granite Crushing Production Line? Sichuan 30-35TPH River Pebble Sand Making Production Line Egypt customer 150-450 TPH stone production line?